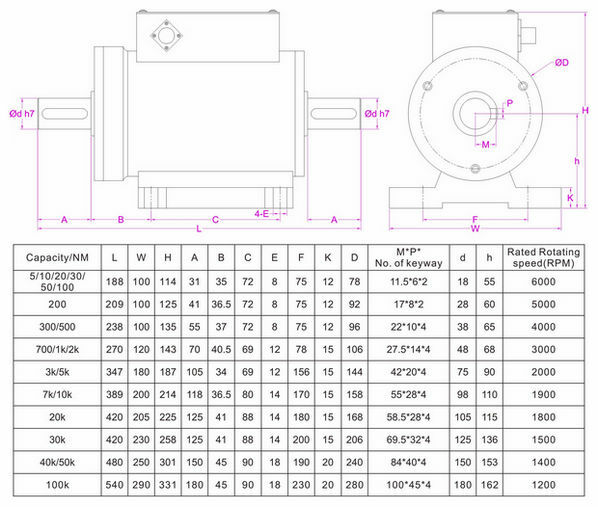 Motor torque measurement sensor FYN is produced based on non-contact rotary transformer technology,torque signal is transmitted contactlessly and there is no friction between rotating shaft and signal collect device.Compared to traditional slip-ring rotary torque sensors,non-contact rotary torque sensors can be used for continuous rotating torque measurement with low maintenance. Pedestal on the bottom can be used to fix the torque transducer,shaft to shaft configuration makes it easy to connect FYN with existing shaft through couplings.FYN is able to measure torque in both clockwise and counterclockwise direction with frequency signal output for both torque and speed channel. -5~5V,0-10V or 4-20mA output proportional to the torque value and rotating speed is available through external signal conditioner. 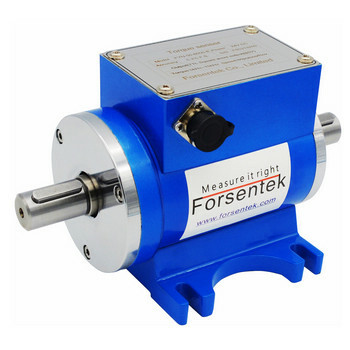 Integrated With RPM measurement based on up to 60 pulses per revolution,non-contact rotary torque sensor FYN is ideal for measuring torque and power from 5NM up to 100,000NM,you may find model FYN suitable for torque measurement of electric motors, engines, pumps, gearboxes and rotating shafts, etc..